Unwrap Bonus Spins, Mega Spins, Cashback and tons of Cal’s Casino Cash! 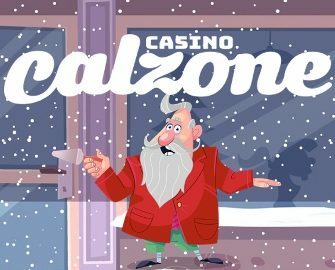 Holy Calzone, it is Cal’s second Christmas bash in his very own casino. 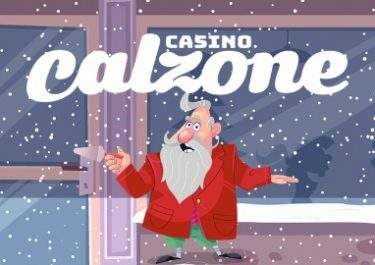 And after the races last year, he has put up a daily calendar with all sorts of goodies we casino players love to get our hands one during the festive period. Log-in every day to find out what Cal has waiting for you. Make a deposit of minimum €10 today and get 10 bonus spins on Merry Xmas. Spins have a wagering condition of 35x within 7 days and have a maximum withdrawal capped at €1,000. Also, get 5% completely wager-free cashback on your net losses from today. Maximum cashback amount is €500. Cashback is calculated on today’s net losses with real money and will be credited to eligible players accounts by 18:00 CET on the 3rd December 2018. Deposit minimum €20 to instantly receive 10 bonus spins on Holiday Season. Offer can be claimed up to three times. Spins have a wagering condition of 35x within 7 days and have a maximum withdrawal capped at €1,000. Deposit minimum €40 to instantly receive 10 Mega Spins on Secrets of Christmas, worth €1.oo each. Spins have a wagering condition of 35x within 7 days and have a maximum withdrawal capped at €1,000. Get a 10% cashback on net losses from slots play, up to €500, credited by 18:00 CET on 7th December 2018. Deposit minimum €10 to receive a 40% deposit bonus, up to €40. Wagering requirement is 25x deposit + bonus within 7 days days. Maximum withdrawals are capped at €5,000.